Home buying during the holidays gives you, the buyer, an advantage in the Edmonton Real Estate market. With so much going on in late fall and early winter, there is ample time for you to make a move without seeing much competition. Here is why being the holiday buyer is best. The Edmonton housing market tends to cool in the winter months. The chances of multiple bids and sales at over asking prices are not a common place. Nobody really likes to move in the cold unless they have to. The number of times a home gets shown tends to decrease which may cause a seller to drop their asking price. This kind of market is perfect for home buyers. Although, you may not have the same amount of homes to choose from as you do in the Spring & Summer, you may pay a lower price for that particular home in the colder months. 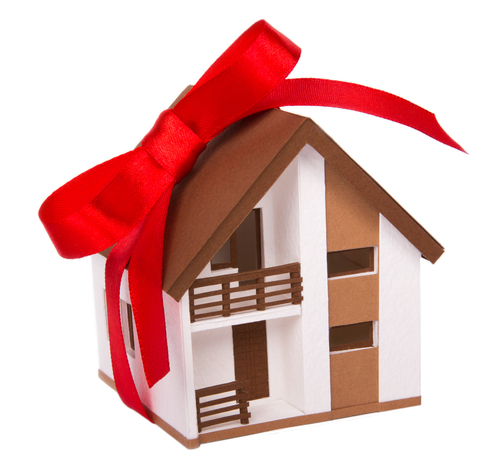 The holiday season can help minimize your risk of overpaying for your dream home. Generally, Sellers are selling during the holidays because they must, rarely because they want to. If you do find a particularly juicy listing, it may be that way because of the time of year and it will most likely change once the new year rolls around. Many sellers will avoid December and the colder months because of short daylight hours, inclement weather and conventional wisdom that suggest buyers are otherwise inclined. Many sellers who choose to sell during the holidays are under pressure and may be willing to make a deal. In most cases a seller looking to sell at the end of the year may be desperate. Who can think of a better gift? You might ask for a new 4K TV, kitchen appliance or the latest smart phone for the holidays, but how do those stack up against a new home? Well… they just don’t so why not get the gift that trumps them all? While everyone else is opening their gifts on Christmas Day is when you may be able to buy yours. For these reasons the holiday season could be the best time for E-Townies to hit up the Edmonton Real Estate market and find themselves the ultimate gift that keeps on giving.